TORONTO, Sept. 28, 2018 — White Gold Corp. (TSX.V: WGO, OTC – Nasdaq Intl: WHGOF, FRA: 29W) (the “Company“) is pleased to announce it has staked an additional 717 mining claims totaling 14,260 hectares (the “Staked Claims”) contiguous to the Company’s JP Ross, Hen, and Stewarts properties, Yukon, Canada. The staked claims further extend the Company’s land package immediately to the west and south of the Company’s JP Ross property in the area surrounding the recently announced Vertigo discovery where preliminary drill results(1) included from trace to 56.25 g/t Au over 3.05m within a broader intercept of 17.34 g/t Au over 10.67m from 3.05m depth (JPRVERRAB18-001) and 45.00 g/t Au over 3.05m from 1.52m depth, within a broader intercept of 9.65 g/t Au over 15.24m (JPRVERRAB18-011). Additional exploration in the area also encountered multiple high-grade grab samples(2) including 139.9 g/t, 135.6 g/t and 132.9g/t Au defining a strike length of approximately 1.1km on the vertigo target along a 12km mineralized trend. 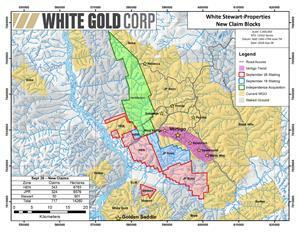 Maps further detailing the property locations can be found at http://whitegoldcorp.ca/investors/exploration-highlights/. JP Ross Property The JP Ross property is comprised of 2,850 quartz claims covering over 57,000 hectares of exploration ground which currently has at least 14 known anomalous trends including the Vertigo and Suspicion, and numerous placer gold bearing creeks. Preliminary drill results(1) on the Vertigo target ranged from trace to 56.25 g/t Au over 3.05m within a broader intercept of 17.34 g/t Au over 10.67m from 3.05m depth (JPRVERRAB18-001) and 45.00 g/t Au over 3.05m from 1.52m depth, within a broader intercept of 9.65 g/t Au over 15.24m (JPRVERRAB18-011). Additional exploration in the area also encountered multiple high-grade grab samples(2) including 139.9 g/t, 135.6 g/t and 132.9g/t Au defining a strike length of approximately 1.1km on the vertigo target along a 12km mineralized trend. The JP Ross property is road accessible from Dawson City and the Vertigo Target is within 2km of an existing road. Recently staked and acquired claims adjacent to the property are situated within a prolific placer mining camp where coarse placer gold is common. About White Gold Corp. The Company owns a portfolio of 21,218 quartz claims across 34 properties covering over 423,000 hectares representing over 40% of the Yukon’s White Gold District. The Company’s flagship White Gold property has a mineral resource of 960,970 ounces Indicated at 2.43 g/t gold and 282,490 ounces Inferred at 1.70 g/t gold as set forth in the technical report entitled “Independent Technical Report for the White Gold Project, Dawson Range, Yukon, Canada”, dated March 5, 2018, filed under the Company’s profile on SEDAR. Mineralization on the Golden Saddle and Arc is also known to extend beyond the limits of the current resource estimate. Regional exploration work has also produced several other prospective targets on the Company’s claim packages which border sizable gold discoveries including the Coffee project owned by Goldcorp Inc. with a M&I gold resource(3) of 4.1M oz and Western Copper and Gold Corporation’s Casino project which has P&P gold reserves(3) of 8.9M oz Au and 4.5B lb Cu. The Company has outlined an aggressive exploration plan backed by partners Agnico Eagle Mines Limited (TSX: AEM, NYSE: AEM) and Kinross Gold Corp (TSX: K, NYSE: KGC). For more information visit www.whitegoldcorp.ca. QA/QC The analytical work for the 2018 program has been performed by Bureau Veritas Commodities Canada Ltd., an internationally recognized analytical services provider, at its Vancouver, British Columbia laboratory. Sample preparation was carried out at its Whitehorse, Yukon facility. All GT Probe, RAB, RC, and diamond core samples were prepared using procedure PRP70-250 (crush, split and pulverize 250 g to 200 mesh) and analyzed by method FA430 (30g fire assay with AAS finish) and AQ200 (0.5g, aqua regia digestion and ICP-MS analysis). Samples containing >10g/t Au were reanalyzed using method FA530 (30g Fire Assay with gravimetric finish). Metallic-screen analysis may also be utilized if coarse gold mineralization is encounter (FS600). Qualified Person Jodie Gibson, P.Geo. and Vice President of Exploration for the Company is a “qualified person” as defined under National Instrument 43-101 (“NI 43-101”) and has reviewed and approved the content of this news release. Cautionary Note Regarding Forward Looking Information This news release contains “forward-looking information” and “forward-looking statements” (collectively, “forward-looking statements”) within the meaning of the applicable Canadian securities legislation. All statements, other than statements of historical fact, are forward-looking statements and are based on expectations, estimates and projections as at the date of this news release. Any statement that involves discussions with respect to predictions, expectations, beliefs, plans, projections, objectives, assumptions, future events or performance (often but not always using phrases such as “expects”, or “does not expect”, “is expected”, “anticipates” or “does not anticipate”, “plans”, “proposed”, “budget”, “scheduled”, “forecasts”, “estimates”, “believes” or “intends” or variations of such words and phrases or stating that certain actions, events or results “may” or “could”, “would”, “might” or “will” be taken to occur or be achieved) are not statements of historical fact and may be forward-looking statements. In this news release, forward-looking statements relate, among other things, to: the anticipated benefits to the Company and its shareholders respecting the Company’s objectives, goals and exploration activities conducted and proposed to be conducted at the White Gold properties; future growth potential of the Company, including whether any further mineral resources will be established in accordance with NI 43-101 at any of the Company’s properties; exploration results; and future exploration plans. These forward-looking statements are based on reasonable assumptions and estimates of management of the Company at the time such statements were made. Actual future results may differ materially as forward-looking statements involve known and unknown risks, uncertainties and other factors which may cause the actual results, performance or achievements of the Company to materially differ from any future results, performance or achievements expressed or implied by such forward-looking statements. Such factors, among other things, include: the expected benefits to the Company relating to the exploration conducted and proposed to be conducted at the White Gold properties; failure to expand or identify any additional mineral resources; the preliminary nature of metallurgical test results; uncertainties relating to the availability and costs of financing needed in the future, including to fund any exploration programs on the White Gold properties and the Company’s other properties; business integration risks; fluctuations in general macroeconomic conditions; fluctuations in securities markets; fluctuations in spot and forward prices of gold, silver, base metals or certain other commodities; fluctuations in currency markets (such as the Canadian dollar to United States dollar exchange rate); change in national and local government, legislation, taxation, controls, regulations and political or economic developments; risks and hazards associated with the business of mineral exploration, development and mining (including environmental hazards, industrial accidents, unusual or unexpected formations pressures, cave-ins and flooding); inability to obtain adequate insurance to cover risks and hazards; the presence of laws and regulations that may impose restrictions on mining; employee relations; relationships with and claims by local communities and indigenous populations; availability of increasing costs associated with mining inputs and labour; the speculative nature of mineral exploration and development (including the risks of obtaining necessary licenses, permits and approvals from government authorities); the unlikelihood that properties that are explored are ultimately developed into producing mines; geological factors; actual results of current and future exploration; changes in project parameters as plans continue to be evaluated; soil sampling results being preliminary in nature and are not conclusive evidence of the likelihood of a mineral deposit; title to properties; and those factors described under the heading “Risks and Uncertainties” in the Company’s most recently filed management’s discussion and analysis. Although the forward-looking statements contained in this news release are based upon what management of the Company believes, or believed at the time, to be reasonable assumptions, the Company cannot assure shareholders that actual results will be consistent with such forward-looking statements, as there may be other factors that cause results not to be as anticipated, estimated or intended. Accordingly, readers should not place undue reliance on forward-looking statements and information. There can be no assurance that forward-looking information, or the material factors or assumptions used to develop such forward-looking information, will prove to be accurate. 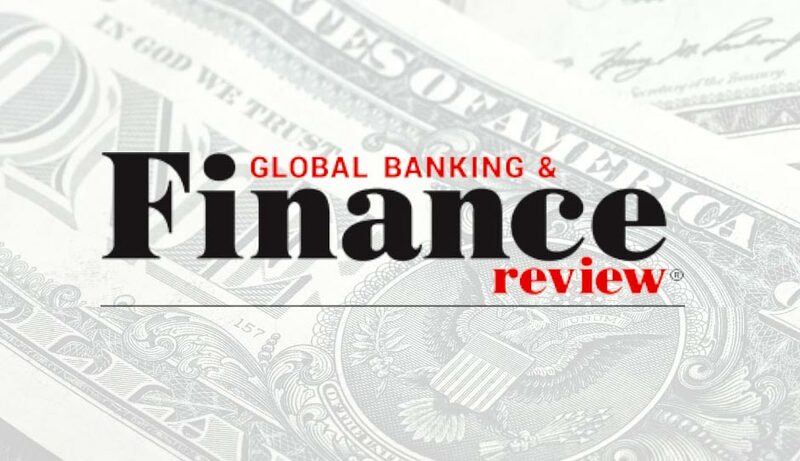 The Company does not undertake any obligations to release publicly any revisions for updating any voluntary forward-looking statements, except as required by applicable securities law.